Cleaning your home is rarely an enjoyable activity, but you love the end result. A home, however, simply cannot be fully cleaned if the carpeting is unsightly and smelly. 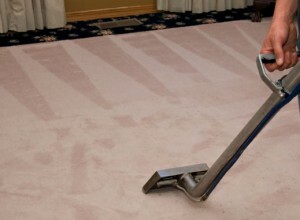 One of the most grueling house cleaning chores relates to deep cleaning your home’s carpet. Carpet can become filthy with various stains, wear patterns from foot traffic, odors and more. Green steam cleaning can remove the dirt and odors from the carpet, and the result can be amazing. Each carpeted room in your home can smell and look fresher and brighter. With our steam carpet cleaning service, you can enjoy the benefits of cleaner carpets without the hassle of actually cleaning them on your own. With professional steam carpet cleaning services, you can sit back and relax while our professionals do all of the hard work. In each room of your home, furnishings will be moved out of the way as needed, and our professionals will utilize our proven cleaning method to effectively remove spots, odors, ground-in dirt and more from your carpet. You can enjoy a cleaner, brighter, fresher carpet without lifting a finger when you let our professionals do the job for you. Simply call us to schedule steam carpet cleaning service in your home to get started.